New Zealand is a small island country in the South Pacific consisting of two major islands the North Island and the South Island. Clean, green, relaxed, peaceful with plenty of opportunities to indulge an adrenalin rush are only some attributes New Zealand is famed for. There are some cornerstones to consider before finalising your travel plans. We live in the southern hemisphere! This affects the seasons in the manner that summer is around Christmas in December and winter is in July to August. 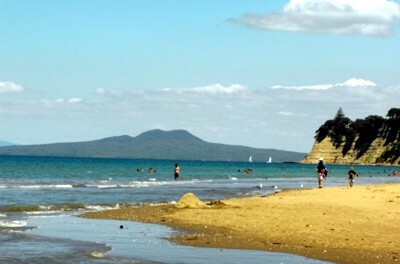 Summer is the peak time to travel for tourists and New Zealanders alike. Up North the climate is generally milder than the South. From Auckland to Northland the winters bring rain while on the South Island the Southern Alps will be dressed in white. Many international flights arrive either in Auckland the largest city on the northern island or in Christchurch the largest city on the southern Island. The South is often referred to as more privileged by scenic beauty and a wider variety of extreme adventures. Personally I believe it depends completely on which New Zealand tourist attractions you are fond of. How do these cornerstones influence your travel to New Zealand? Travelling during the New Zealand summer, it is wise to pre-book accommodation and transport even some activities are best booked some time in advance. A certain region, a whole island north or south or both islands and then north to south or vice versa? Is it a solo or family vacation? Do you prefer to travel independently or pre-organised either in group or by yourself. In any case you will have a great time and find something you love doing. Auckland is in its inner city the main metropolis, without any doubt, but the outskirts are the complete opposite. Surrounded by 21 Regional Parks are many unspoiled gems to enjoy. If you have a stop-over in Auckland on your travel to New Zealand, take the time to visit one or more of these Regional Parks. Join in and write your own page! It's easy to do. How? Simply click here to return to Your Travel Stories.